If you’ve got a release coming up you’re probably thinking about how to get it out there with reviews on your favourite blogs, radio play and playlisting – you might even have set aside money to get a music PR or plugger to help you do this or you might have decided against a cash spend but are going to put in your own time to try and get the results. Whether it’s doing it DIY and investing your time, or finding the right person to join your team and work for you to a budget, it’s worth considering where you put your effort: into PR and plugging, into direct digital marketing, or a combination of both. Paying a music PR or plugger to help you promote your release can start from a couple of hundred pounds and run into thousands depending on who you choose and who you’re targeting for coverage. The benefit of putting some money behind a music PR or plugger (who specialise in pitching your music to radio stations) is they already have the relationships in place. it may help you achieve more streams on platforms like Spotify – curators on the platform look at buzz from blogs and smaller playlisters to see what emerging bands might do well on their editorial playlists. At Reckless Yes getting Fightmilk included on a particular playlist boosted their initial streams and has continued to keep them rolling in and generating an income six months after release. and it does give you feedback on your release – even if you go the DIY route and approach places directly without paying a PR some bloggers will send you feedback, especially if you use a system like SubmitHub. Not all bloggers will have the time or the inclination to come back to you, and their feedback may not be welcomed if they do (after all, they have just one opinion and your art is your art) but those who do may help you shape things in a way which leads to greater success. It’s not good to only think of PR and plugging when you have a release anymore. We’re beyond the days of mass media where everyone was reliant on the weekly music press, a few radio shows, and even fewer TV stations to tell them what they should be listening to. Discovery is dispersed these days and so while music PR and plugging is still an essential part of the mix you need to also think about more direct ways to get your music heard. Technology means musicians are more able than ever to do directly things they would have had to pay someone else to do, or wait for a record deal to provide, in the past. And while ‘marketing’ may feel like a dirty word to you if you’re interested in even a handful of people hearing your music it’s something you’ll need to do – as we say, discovery is dispersed and so being where your potential listeners (or fans if you prefer) are is vital. Direct to Fan marketing is exactly what it sounds like; ways of reaching those who may like your music directly. Social media, email marketing, and playlisting all help musicians to do this digitally and just like PR it means you can choose whether to invest your budget in someone who already knows the ropes and can do this for or with you, or you can invest your time and pick up skills so you can do it yourself. Facebook posts are the tip of the iceberg here – whether you’re trying to do it for free or you’re putting some money behind sponsored posts – and a good direct to fan or digital marketer will look at your whole online presence from a website and mailing list, to how you appear in search, to helping you really understand the places your audience hangs out to, yes, your social media channels. But digital marketing may not feel comfortable for every artist. Not everyone wants to spend their time online and you may have well-founded reservations about being on certain platforms or promoting your music through networks you don’t ethically agree with. Social media and streaming aren’t the only way – you can still build a community around a Bandcamp or website presence, and an email list should be in your arsenal whether you are tweeting or Instagramming your band. Reaching your audience while staying true to an artist identity which doesn’t include social media is difficult but not impossible and if you’re looking for someone to work with you on this make sure they’re thinking beyond Facebook posts and video content to what works with your approach. What if I haven’t got a budget to promote my release? And what do you do if you haven’t got any money to spend promoting your release? Well, while it’s advisable to budget something toward this not having cash to hand shouldn’t be a barrier – there’s plenty you can do yourself without spending a penny on both PR and direct to fan marketing. For music PR you can build your relationships with bloggers and broadcasters whether you have a release or not. Most will list their preferred method of contact on their website or details page and you should take the time to dig out those who are covering things in your genre – there’s no point contacting a blog specialising in death metal if you are an electro-pop band. Do your research; the only cost to you here is time. If you’re not sure where to start take a look at the Unsigned Guide and SubmitHub for help in getting to the right people, but make sure you’re not an unwanted ‘cold caller’ and you’re personable in your contact. If you want to take matters into your own hands social media has made it easier to publish your message, even if it is slightly trickier to be heard among everyone else shouting online. Again, time is your spend here. Make sure you’re not missing really important places to speak to people – if anyone has purchased your music on Bandcamp you will have an email address you may be able to use to contact them again. This is likely to get a better result for you than suddenly tweeting a couple of times after being silent for months. And consistency is a key part of doing this yourself. It’s no good only being active when you have something to push, you need to be joining conversations and nurturing your relationship with fans all the time so they are really ready when you have a release. That takes time too but if you want to make promotion work it’s an investment you need to consider. DIY or grow your team? When thinking about promoting your releases you can choose between doing it yourself or growing you team, putting in the time and learning the skills yourself, or putting some budget behind an expert in the area. There’s no universal answer or formula to guarantee your success but knowing what the options are and thinking through what’s right or what’s possible for you as an artist is a great place to start. Need some help with your next release? Whether you think spending your budget on reaching your fans directly or you want to gain coverage and airplay through a music PR book in for a free, no obligation, 15-minute phone call with Sarah Lay to discuss your next release. Want to find out more about those we’ve worked with – head over here. Shilling your art on social media can be a frustrating and unrewarding task for musicians and bands who have to rally the motivation to self-promote and try to reach fans online only to see tumbleweeds through their profiles and a lack of return on that effort. But we’ve got some quick tips and tricks that will help you get the most as an artist and start connecting with fans. What’s the best way to reach people online in 2019? Whether you love, hate or merely tolerate self-promotion of your music online and on social media everyone wants to see they are getting something back for the effort they’re putting in. But it’s seemingly harder than ever to reach people without paying to promote your posts and if you’re not ready or willing to commit a budget, what can you do? Crossing your fingers and hoping some magic happens is probably not the best plan – but making sure you’re putting the right things out to reach the right people is likely to see you right. That means a little bit of knowing who you’re trying to reach (no, not ‘everyone’) and what they like online (in terms of content types at least). It’s all about doing the right things to reach the people that count to you. You may want to reach every last person on the planet with your music but chances are, right now, your audience is much smaller. 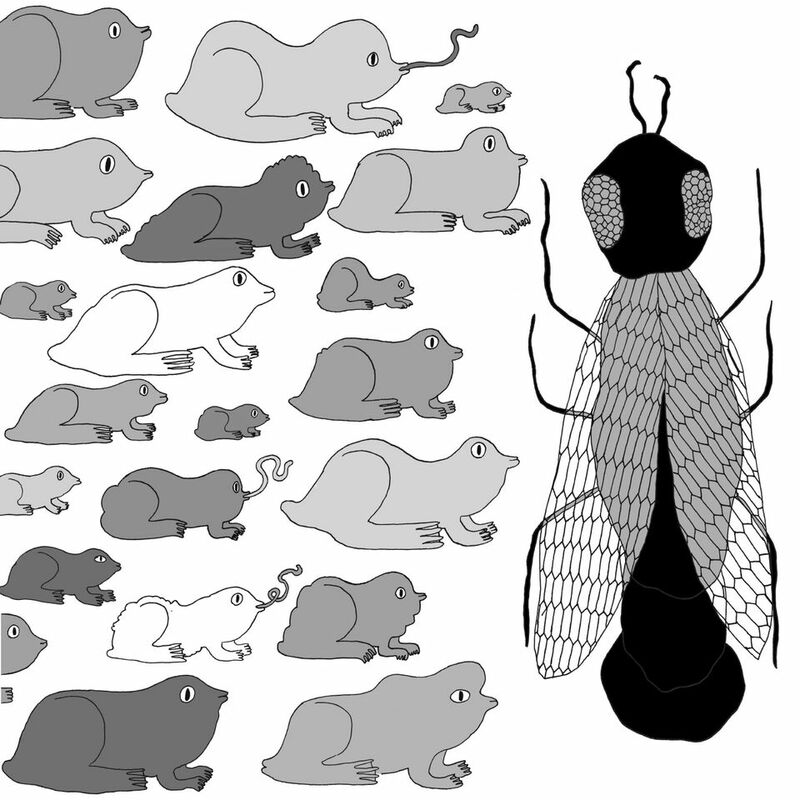 You may have an idea of you think should like what you’re making, but it’s worth checking whether that’s the reality. If you already have social media profiles you can get some information about the people who like you (not in an overly creepy way, in a general way) from the stats and it’s also worth checking your Spotify for Artists profile for this information. You’ll get an idea of the age, location, and gender of the people who are listening for you and from this you can work out whether you’re hanging in the right places online to find more of those people. Each social media network has a core demographic so while your fave might be Insta if your audience is all on Twitter you might want to put some effort in over there. You’ll also want to check what the best content is for each platform and audience. Again, while you might love crafting long verbose status updates if everyone is scrolling past them the time you’re spending may not be helping too much toward your success. Across all platforms video is by far the most popular type of content right now and so making sure you have at least some of this in the mix of how you share stuff online is a good idea. More people will see it, more of those people are likely to engage with it, and that in turn helps it get shown to more people. And music lends itself to video – you don’t need a grandiose cinematic showcase for you latest single, video can be shot on your phone and behind-the-scenes, live footage, practice room, tour van and more all make interesting and quick videos you can share online. None of this will make it feel less icky if you’re not keen on self-promotion or pushing yourself as an artist online but if you’re going to feel that way, you may as well at least get some good results. Knowing what’s working and not makes all of this easier over time so it’s worth checking to see whether you should do more or less or something according to how people have reacted. Most social media platforms will give you a few stats to go on without you having to work too hard for it. You can see easily how many people have liked or commented on your posts, but it’s worth also seeing what the engagement rate is. Some platforms do this for you if you look in your insights section and you should be able to get a feel for what’s normal for you. Overall it’s worth bearing in mind that engagement rates are low across the board and 1.6% is average for Instagram, while Facebook and Twitter are much lower (less than 1%). Distilling your music to an engagement rate percentage probably isn’t what made you start a band but this stuff is important if you want to be independent and have an audience of people ready to buy your music and come to your shows. Want some help with promotion and PR? If you’re ready to take control of your career and find success for your music on your terms then we’re here to help. We can help you plan for your next release through helping you find your audience, create great content and support your social media efforts, gain coverage in the music press and airplay on radio as well as link you in to a national network of independent promoters and help you record and release your music. Whether you are just starting out or you’ve been around a while the chances are you already have someone who’s a fan of your music (and we’re not talking about your mum or your best friend) – and how you treat those who love what you’re doing can make a big difference to you as an artist. if you’re an independent musician having fans who will buy your music and merch, come to your shows and talk about you to others is key to all your do. As an independent musician you should be making music for yourself but by finding people who love what you are doing too – so much they will part with cash, invest their time, and spread the word about you – you’re setting up a way to allow you to keep creating. There doesn’t need to be a legion of these people (at least not to start with) but you do need them to be engaged with what you’re doing, not just passively liking but never looking at your Facebook page. As with all you do you should be thinking about reaching the people who count, not just counting the number of people you can reach. Where are these people though? It’s a strange situation where it’s both easier and harder than ever to find fans for your music. Traditionally when everyone was introduced to music through their local record shop, radio, the music press, or music TV the key to finding fans was getting the gatekeepers of those places onside. You needed to have a certain amount of success before you could really become successful, even as an independent artist. These days the internet means you can by-pass the tastemakers and find your fans directly – but the way people discover music has become much broader alongside this so you have to be ready to go out and find them, not just expect them to find you. This most obvious way to do this is to have social media profiles which represent you authentically and through which you are joining conversations and talking with people. In the twenty (or so) years I’ve been working online this has held true: you get out what you put in. If you blast out messages and never respond to anything or join a conversation you will be perceived in the same way as advertising and be ignored by many as a result. If you use your profiles to chat and join in, you’re likely to find you build connections which are more meaningful to your music and creative path. Don’t want to be glued to your screen and spending more time on social media than you are on your music? There are other ways. More one-way but valuable is a mailing list. You can collect signs up at shows, or through a simple online sign up page (link to it from your Bandcamp or Spotify profile, or your social media accounts if you have them) and send out updates on what’s going on. People have opted-in to this – they’ve let you know they’re into what you’re doing – so chances are they’re more ready to act on what you’re doing than if you have thousands of likes on your page. And you want to make sure the machines are working in your favour beyond your conversation. 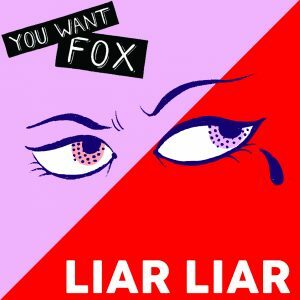 Getting playlisted with similar artists, being seen on line-ups with bands who are likely to have fans who’d dig what you’re into, and finding a broader reach through getting coverage in the press and on radio are all still important in finding your way in front of people who might care. Wherever you are looking for fans and trying to be discovered keep in mind that conversation, leads to a connection, and it’s then down to you to be consistent to maintain it and build on it. Don’t just show up when you have something to push at people (months of silence followed by ‘new single out now – buy please!’ is not a good look) but be around consistently and people will be more ready when you do have something happening. There are lots of ways you can reward fans who are showing you extra special report – they don’t have to be expensive, and they can feel inclusive even when they’re for only a few people. A great example recently came from indie folk band Sister John and Last Night From Glasgow records who sent a heart-shaped lathe cut vinyl of single Airport to just four people on Valentine’s Day 2019. 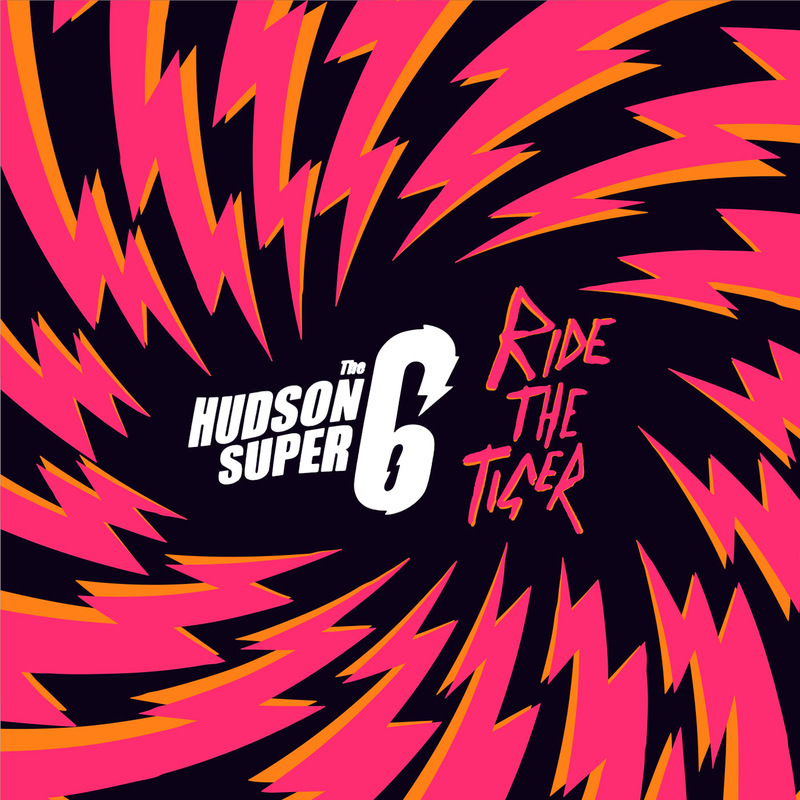 While the track went on general release digitally the following day the vinyl was a chance for the band to say thank you to a few people who had been supporters or gone to special efforts for the band, while also creating a collectable item. Lathe cut vinyl has no minimum run order so creating short runs is an option worth looking at. Or maybe you want to be more personable with all those who have purchased your music. While signed copies are pretty standard (and still much-loved and collectable) LIINES made sure they included a hand-written note with each copy of their debut album they shipped. With most of the run sold in pre-order this was no small task but the short notes thanking people for their support were appreciated by those receiving the record, and was a human touch in a world where an anonymous and robot-packed Amazon parcel is becoming the norm. That personable approach can be taken at the end of every gig by making sure you head to your merch stand and are ready to chat with people – yes, you’ll have a lot of similar conversations over time but each conversation you have is also special and memorable. Not getting out to play shows or find conversation hard? You can be as personable online by showing up on your social media profiles and having conversations, not just pushing stuff. If you’re ready to take control of your career and find success for your music on your terms then we’re here to help. We can help you plan for your next release through helping you find your audience, build an engaged fan base, gain coverage in the music press and airplay on radio as well as link you in to a national network of independent promoters and help you record and release your music. Noble and Wild lead Sarah Lay has teamed up with independent label Last Night From Glasgow to offer a full day of workshops for independent musicians and unsigned artists in Glasgow this March. Including sessions on how to make money as an independent artist, how to do your own PR and panel sessions the event will be held at Stereo in Glasgow between 11am and 4pm on Saturday 16 March 2019. Tickets will be priced at £10 and include lunch, and entry to the evenings gig – a third birthday bash for Last Night From Glasgow with performances from Cloth, Sister John, Annie Booth, and Foundlings. Places are limited so make sure you put your name on the list here. Sarah has worked across the music industry for the last two decades and brings experience as an independent label owner as well as music journalist, PR and artist manager. She’s worked with independent artists and helped them to earn money from their music, build their fanbase, gain coverage, and find their own way to success. She said, “Being unsigned or independent as an artist, band or musician is a choice these days and signing to a label or getting representation isn’t a necessity in order to grow a fan base, gain coverage or make money from your music. Register your interest in one of the limited places here. If you’re starting to look ahead to 2019 and making plans for your music, and resolutions to build on what you did in 2018, booking in for a free discovery call with Noble and Wild founder Sarah Lay may be a good first move. The free call – which can be by phone, Skype or Zoom – will give you time with Sarah to go over where you’re at with your music and what you’d like to achieve in the next 12 months. Maybe you want to release a single or album, get some coverage or hear your songs on the radio, or perhaps you’re already gritting your teeth about another year of Facebook posts that reach no-one but feel obligatory. Or maybe you don’t know what you want to do – you just want to make music, and reach people who like it enough to buy and support you to do more. With years of experience running a record label, putting on shows, managing artists, and working as a music journalist and PR Sarah can help you focus on the steps you need to take for success. Whether that’s learning a trick so those Facebook posts have a purpose, or knowing what you need to put in your press pack to get journalists to take a listen, or wondering what you need to do to command a fee for your gig efforts, or maybe you’re thinking about finding a manager to help you to the next stage with your music but aren’t sure of the pros and cons – Sarah can help guide you to success through sharing her experience across the industry in all of these areas and more. Our calls and services – and Sarah’s ethos overall – is about helping you as an independent or DIY musician to keep creative control while moving toward your success. Whether you want to be signed by a label or are keen to go it alone Sarah will share practical steps and support you to get there. Having worked with Sarah at Reckless Yes, the label through which Chorusgirl released second album Shimmer and Spin in 2018. Sarah worked with the band (alongside label co-founder Pete Darrington) on releasing the record on vinyl, CD and digital; planning a UK tour; and working with butilikeyou PR on a print, online and radio campaign while Sarah supported on social media planning. Many Reckless Yes artists have used Snug Recording Company, a studio in Derby, including Grawl!x, Unqualified Nurse Band, Pet Crow, and Mighty Kids. Sarah has also worked with them on podcast recording. “Having worked with indie record label Reckless Yes on various releases, we know that Sarah who co-runs the label is a total goldmine of information on all things PR, press and DIY (mainly because they’ve supported their artists to experiment and they know what works and what didn’t).” – Snug Recording Co.
There’s no obligation to take up Noble and Wild services off the back of the call and there’ll be no hard sell – if we think we can help you we’ll let you know but the calls are offered to help you focus first and foremost. Book your call here. Already know where your music career focus is in 2019? We’re running some workshops to help you get set up for success. Run as small group workshops Sarah will be sharing her skills and knowledge and there’ll be plenty of time for you to ask questions and get the answers specific to what you’re trying to do. We run day and evening sessions around the UK to fit around your other commitments, discounts for more than one member of a band to attend, and all our workshops currently have 50% off – bonus! Finding fans: how to build a fan base eager for your music. If you’d like to find out about other ways to work with Sarah – including social media marketing, PR and plugging services, or our bespoke packages tailored to you – check out our services page or book in for a free 15 minute discovery call. If you’re looking ahead to 2019 and wondering how you can make it a successful one with your music our latest batch of events may well be for you. Whether you’re wondering how to earn money from your music, are feeling frustrated your social media efforts aren’t connecting you to fans, or you know you’ve got to run the PR gauntlet for you next release we’ve got you covered. Our workshops are small group sessions to make sure you have a chance to ask plenty of questions and get advice from Noble and Wild founder Sarah Lay. How much? We’re offering 50% off our workshops at the moment meaning the two hour sessions an cost as little as £20. Our workshops are led by Sarah Lay, founder of Noble and Wild, and co-founder and head of creative at independent record label Reckless Yes. She’s an artist manager and live promoter as well as a music journalist for publications including Loud&Quiet, Drowned In Sound, Louder Than War magazine, and Get It Her Ears, and a PR who’s found coverage for clients with 6Music, Radio X, Amazing Radio, Louder, The Line of Best Fit, The 405, For The Rabbits and more. Added to this experience across the music industry she’s an award-winning content and experience specialist who loves to work collaboratively to support independent musicians create success on their terms through sharing the knowledge and skills she’s gained working with artists and labels. Chat to her on Twitter and Instagram. If you’d like a free 15 minute, no obligation, discovery call about your music you can book one in with Sarah here. If you’re playing gigs but barely making enough to cover your petrol, if you’re releasing tracks but never covering the cost of your distribution from your streaming royalties, and you’re always emptying your change jar to pay for rehearsal time this workshop is for you. We’re not churning out millionaires or selling get rich quick schemes but we can help you start to make money from your music through understanding your royalties, sharing different options and costs to releasing your music, and being able to command a fee for your live shows. This is a two hour workshop and we’ll make sure you’ve got an action list to take away at the end of the session. Sign up here to be the first to hear about dates and locations for this workshop, and book early to get your 50% off early bird pricing. Everyone has to have a Facebook page these days, right? But you also have to boost those posts if you want people to see them. Social media can take a lot of your time (and money) and not show you a definite return. We’ll help you find fans who want to buy your music and come to your gigs by showing you where your effort is best placed, and sharing some tips to get the most from social media and other ways of connecting to the people who love your music (and we don’t just mean your mum). This is a two hour workshop and we’ll make sure you have a checklist and content plan to take away at the end of the session. Sign up here to be the first to hear about dates and locations for this workshop, and book early to get your 50% off early bird pricing. You’ve sent a hundred emails to every magazine, blog, playlister, and radio station you can find but the reviews aren’t coming. If you’re not ready or able to spend money with a PR this workshop is for you. We’ll make sure you reach more people with your next release by taking you through how to get the perfect press pack together, how to plan your timelines and crucially – how to get seen in a journalist’s inbox. This is a half day course and the price includes refreshments. We’ll make sure you have a campaign template and checklist to take away at the end of the session. Sign up here to be the first to hear about dates and locations for this workshop, and book early to get your 50% off early bird pricing. If you want to start working toward success with your music right now you can book in for a free, no obligation, 15 minute discovery call with Sarah Lay now. She’ll get to know you and your music to see how we might work together. You can also find other ways to work with us here. 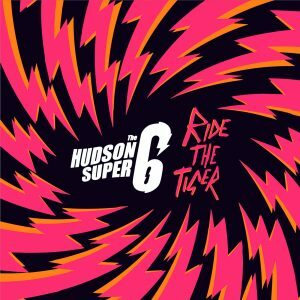 The Hudson Super 6 EP Ride The Tiger is due for digital release on 9 June 2017 via Ingue Records. This campaign covered online and radio and coverage will be updated as it is available. 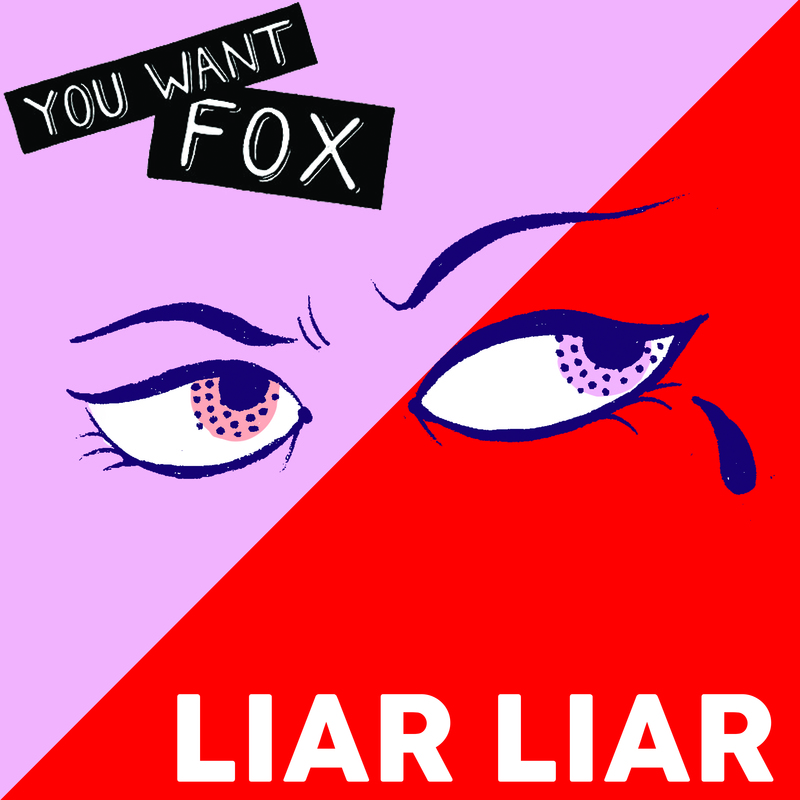 You Want Fox single Liar Liar was released digitally via Reckless Yes on 10 March. This campaign covered online and radio. Nusic (Nottingham) radio show and podcast. Pet Crow’s debut album A Simple Guide To Small And Medium Pond Life is released on Reckless Yes Records on 24 February 2017. You can buy your copy here. The press campaign covered online, print and radio as well as online and print advertising. Advertising in Louder Than War magazine, online with Storge and Louder Than War.